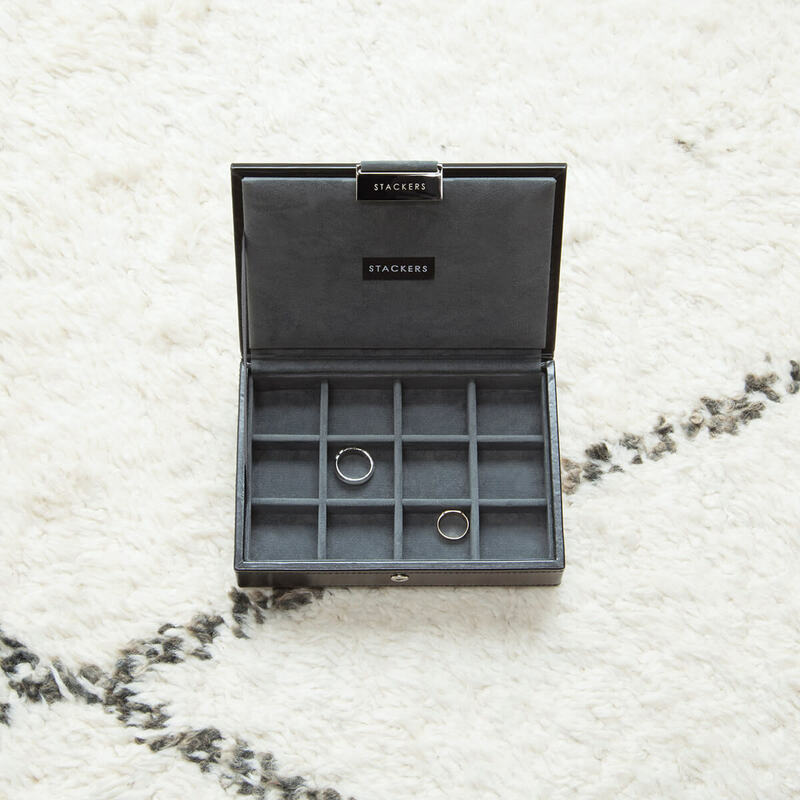 Men are always the hardest to buy for, so we created this gift guide to help you navigate your way through they male buying conundrum that you’re faced with every year. 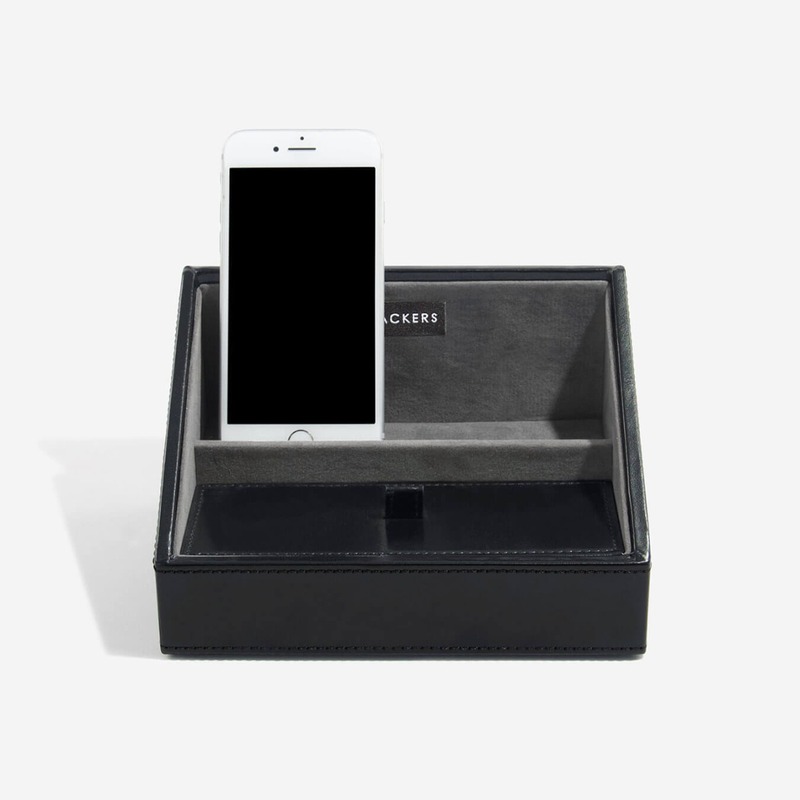 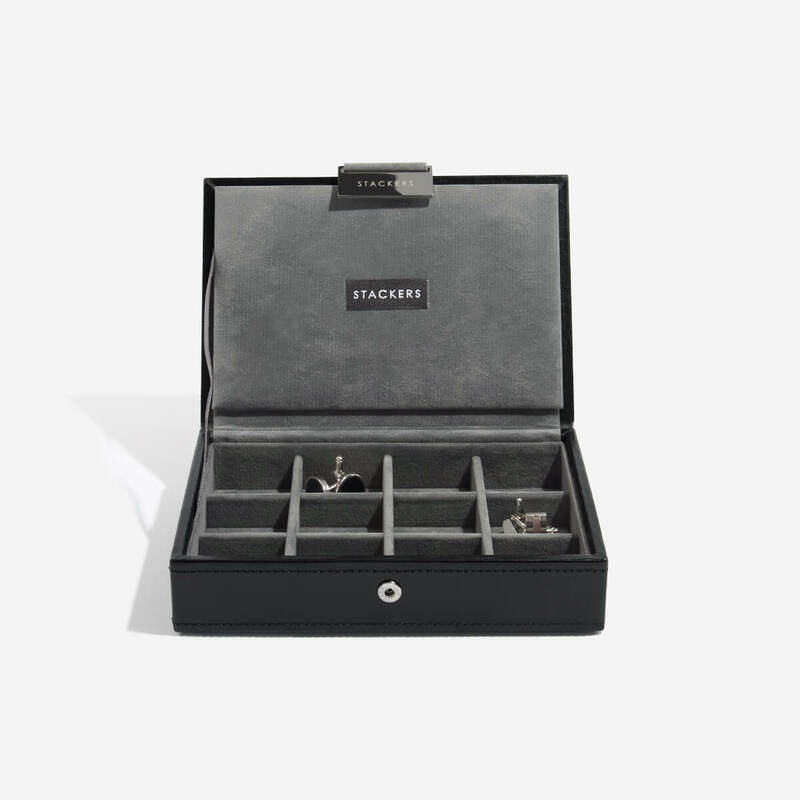 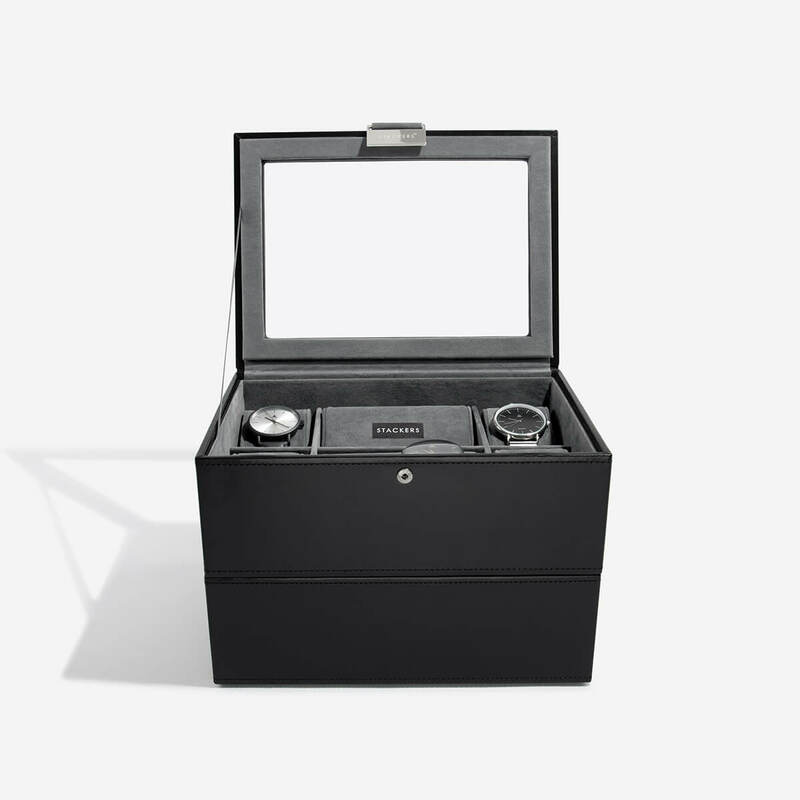 This mini cufflink box is a great place to pop cufflinks but also chains, fine bracelets, earrings are more. 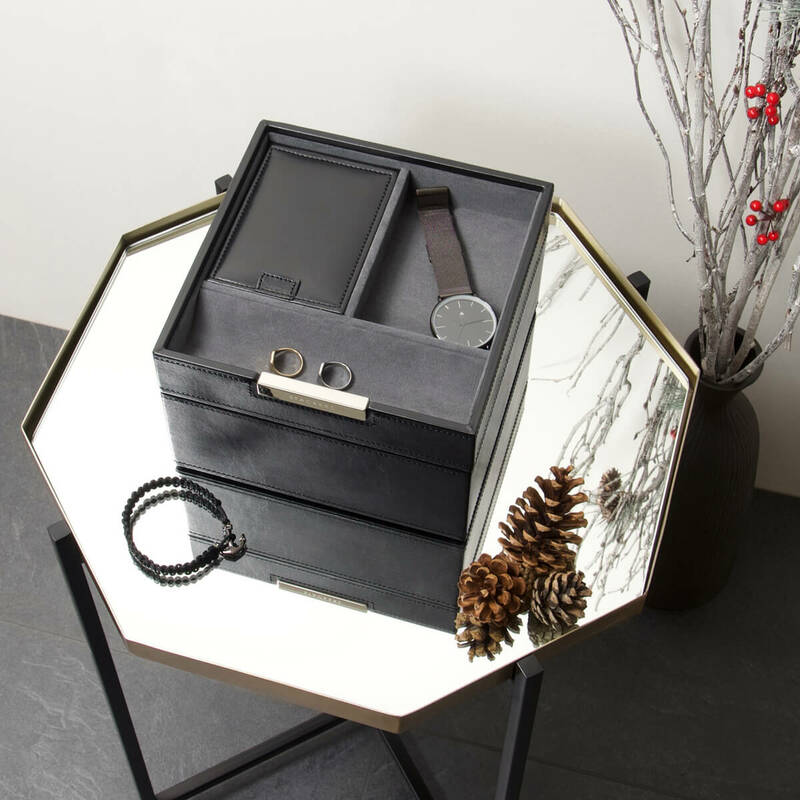 Its small size and its secure poppa makes it the perfect gift for those who travel a lot, fitting in to hand luggage and safes. 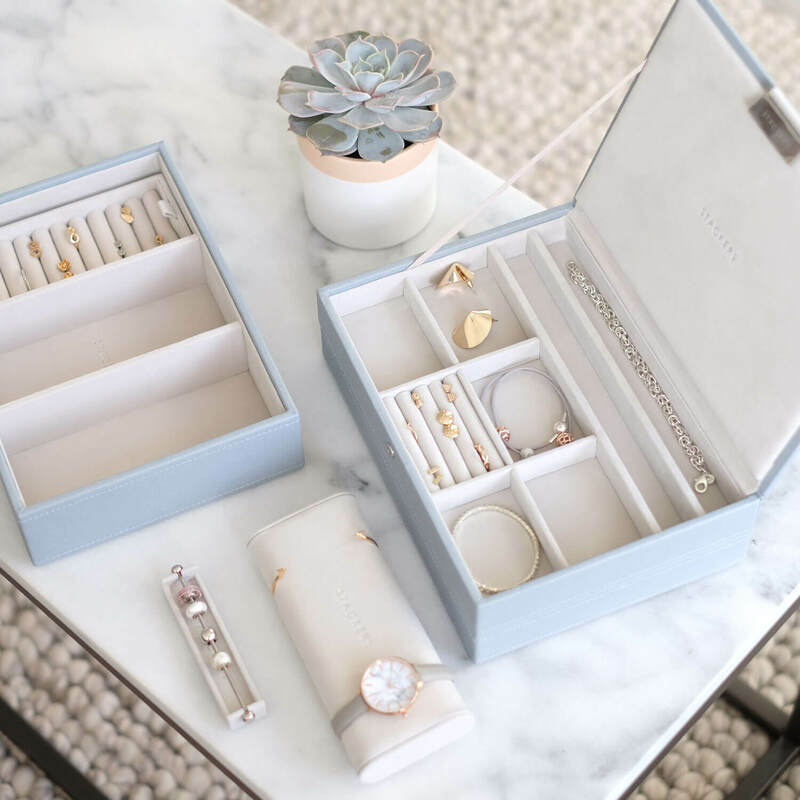 This lives up to its Stackers name, add a watch layer underneath and its great sitting on top of drawers keeping all his pieces in one place. 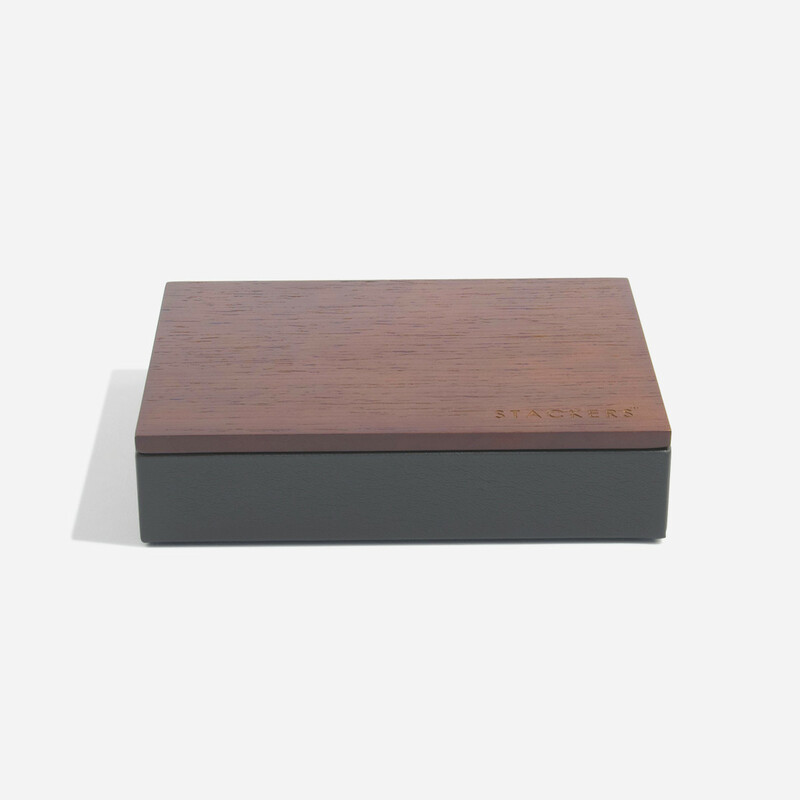 This is our contemporary collection, for a more trend led man this wooden lid makes this collection look clean and sleep. 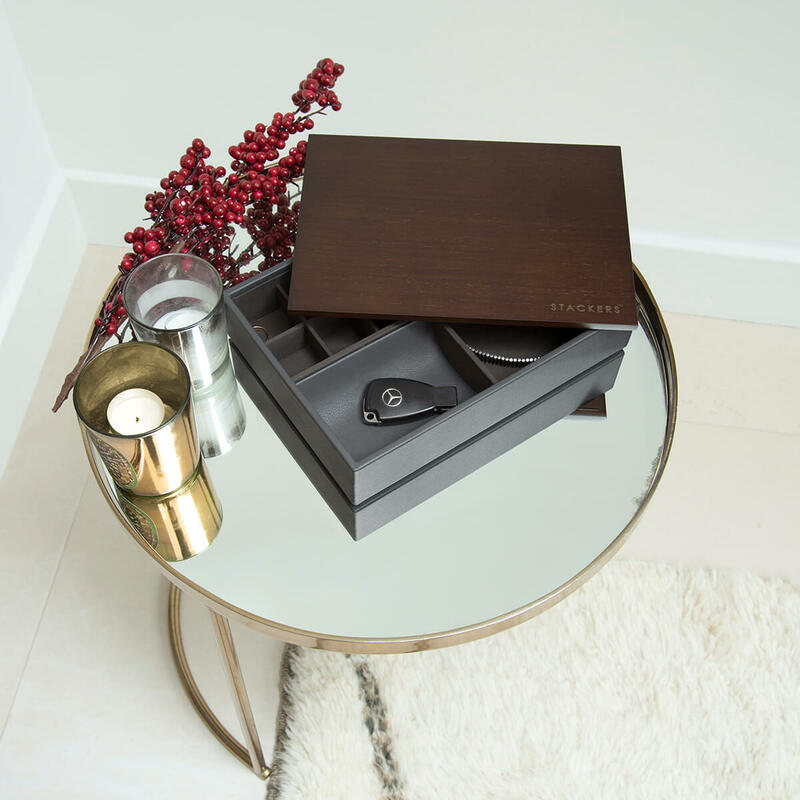 There are a number of different configurations you can choose from and stack together to create a bespoke gift. 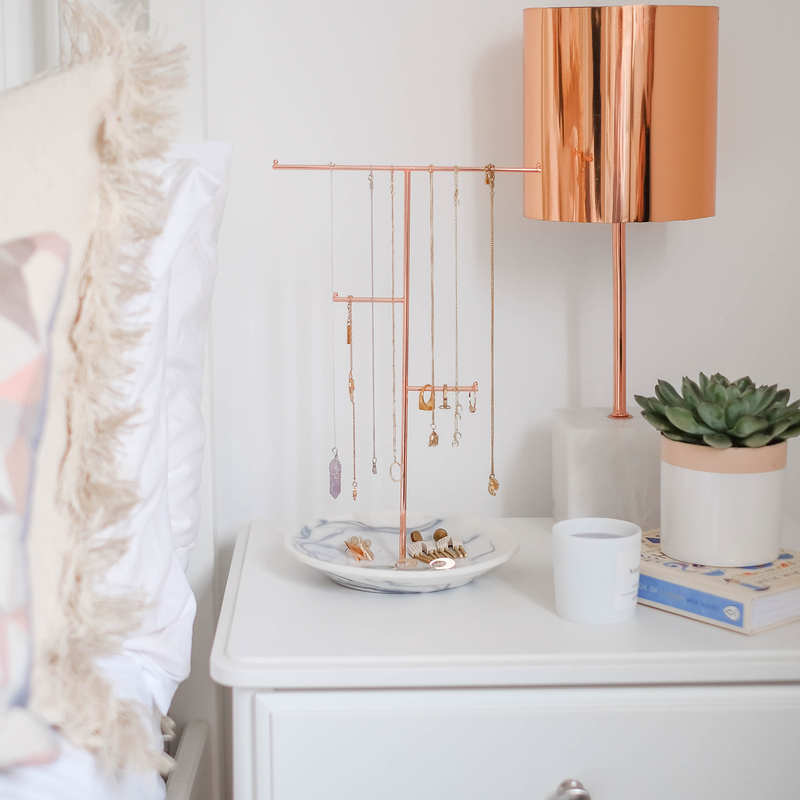 Available in four colours this piece is great all round the house, a great spot to charge your phone or tablets by simply threading your charger through the holes. 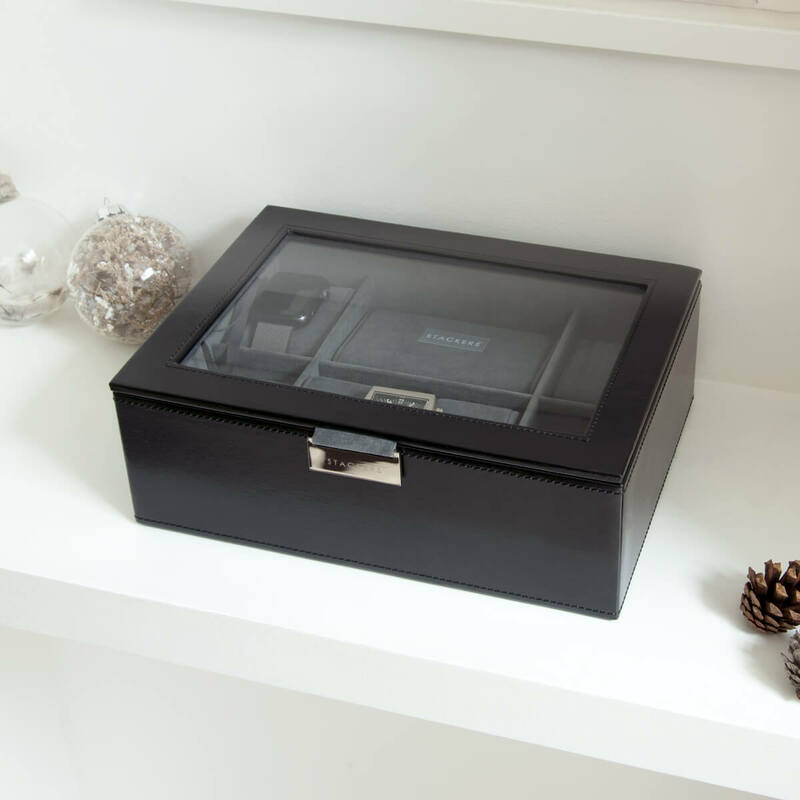 The fron section is great for storing stationary is used at a desk, or change if used by a bedside. 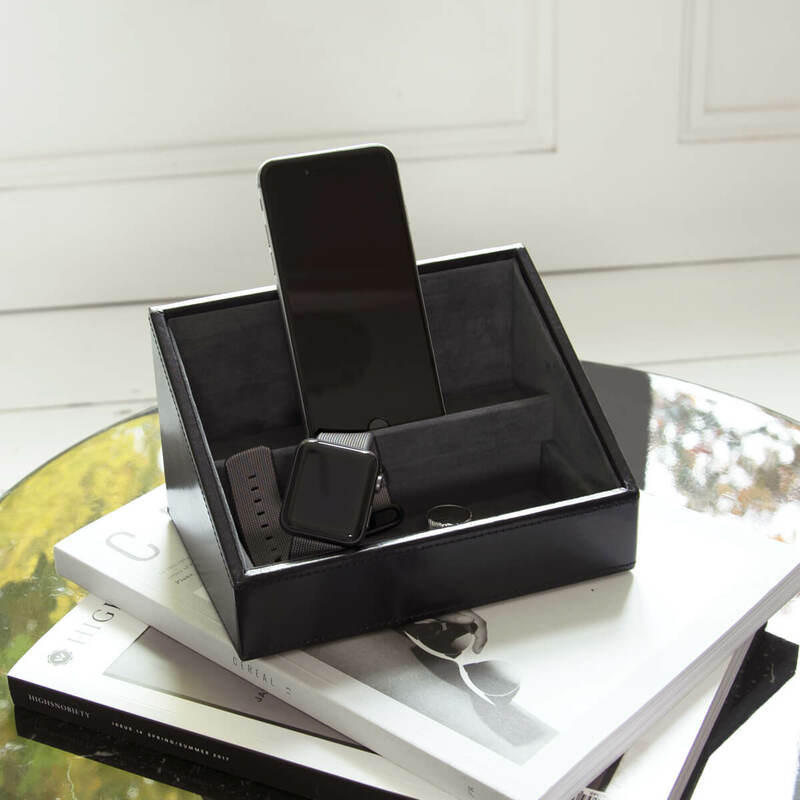 The ultimate tidy-up-er the square is the dream gift for a messy partner, a each layer can make a neat dumping ground for watches, jewellery or every day pocket debris, available in 3 colours with three layers there is now excuse for bedside table mess again. 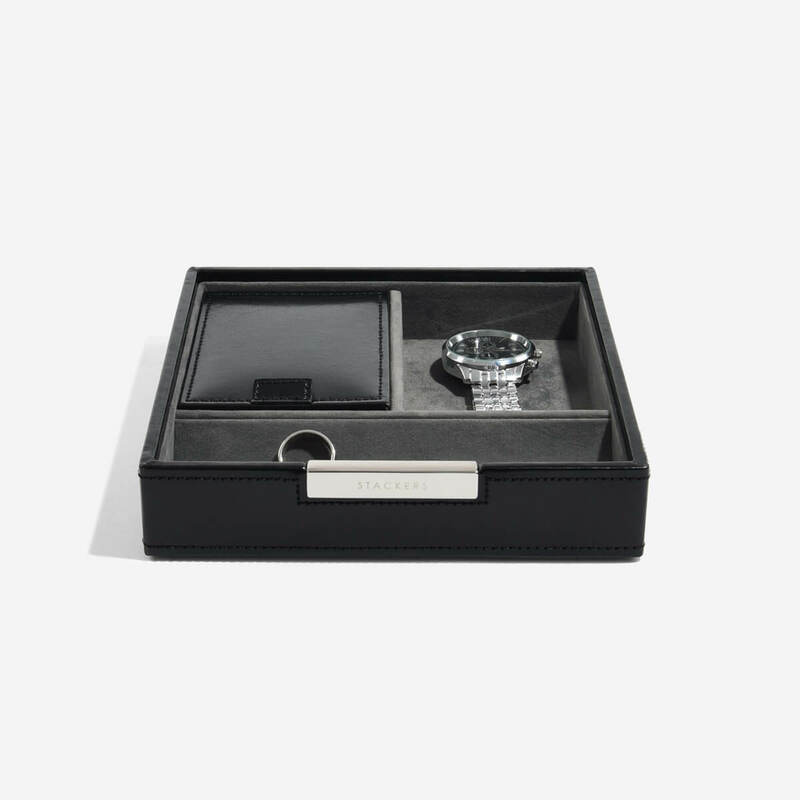 8 piece watch boxes, 15 piece watch boxes plus layer to add underneath, there is no way anyone could run out of room with these.